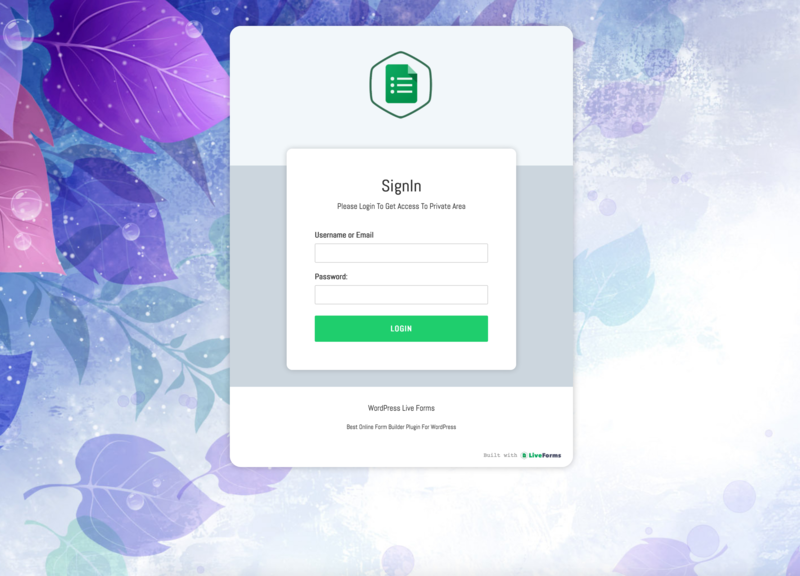 Live Form WordPress Signin Add-On gives you an easy way to create signin form for your WordPress Site. You also can use all available form template with live form for your sign-in form. You can use captcha field to protect you sign-in form from bad attempts.